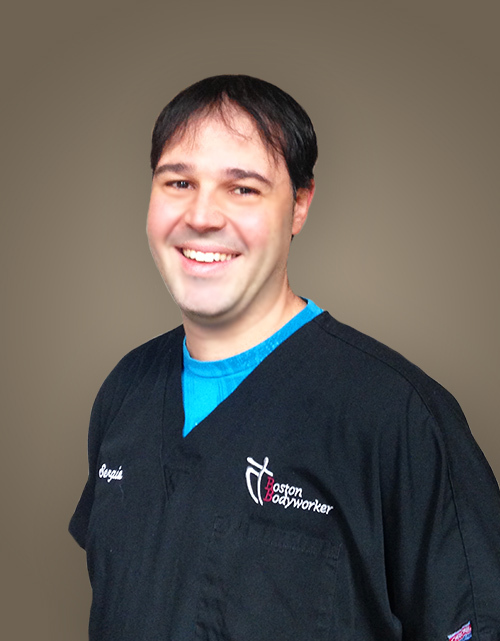 Sergio came to the United States in 2007 with his long-time girlfriend who was looking to pursue her career as a Physician. They began their lives in the US in Pittsburgh, PA. It was the perfect opportunity to put his heart and soul into massage and bodywork. Soon he graduated from the Massage Therapy program at Sanford Brown Institute in Pittsburgh, PA and went on to become Nationally Certified (NCBTMB). Since then he gained valuable experience working in different settings helping many patients with a wide array of injuries. Sergio’s philosophy has always been that learning is a never-ending process, so he kept educating himself, becoming a Certified Myofascial Trigger Point Therapist (CMTPT) and Certified Kinesio Taping Practitioner (CKTP), before moving to the Boston area in 2010, where he has since become a Certified Postural Analyst (CPA) and Certified Personal Trainer (CPT) in 2011, Certified Orthopedic Massage Practitioner (COMT) in 2012, Certified Pre and Perinatal Massage Therapist (CPPMT) in 2013, Certified in Myoskeletal Alignment Techniques (CMAT) and Corrective Exercise Specialist (CES) in 2014, Board Certified Massage Therapist (BCMT) in 2015 and Medical Massage Therapist (MMT) in 2016 He also has attended some classes in different modalities such as Craniosacral Therapy and NeuroKinetic Therapy. Sergio enjoys working with athletes, helping them to perform better and become pain free, as well as with people with chronic tension and pain unable to get long lasting relief with traditional medicine. Nobody should live in pain and it’s our commitment as Bodyworkers to educate our patients in how to achieve that. No two patients are alike so understanding where they are coming from by listening to them plays a major role in the treatment process. Sergio’s hobbies include traveling around the world, watching and playing soccer, hiking, and spending time with his wife Mercedes and their three beautiful kids.